Down from as many as 200,000 lions a century ago, some experts believe that there could now be as few as 20,000 individual lions remaining in the wild today. That number is likely falling by the day. Panthera, a wild cat conservation organization, believes the most serious causes for the declining of lions include wild prey depletion, accidental snaring, and habitat loss along with humans killing them to protect their livestock, poorly managed trophy hunting, and the illegal wildlife trade. There is no single solution for protecting lions; overcoming these threats will be no easy feat since their risks are so varied. 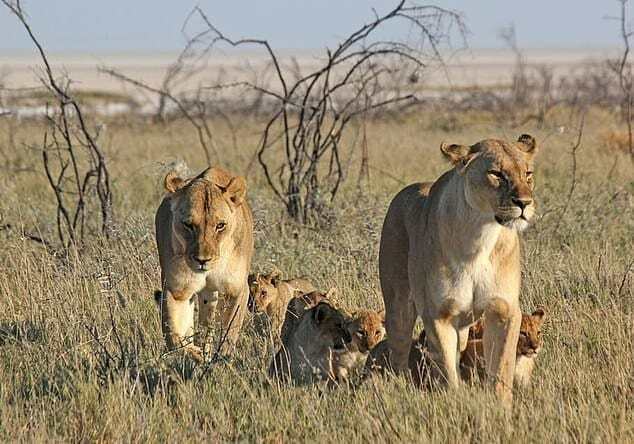 It will require specific doings in certain locations, depending on what’s the cause for the decrease in the lion population, to help fix this problem. For lions that are inside protected areas, some experts argue that we must fence lions in to stop them from causing problems with people. However, this has earned criticism from others who believe that fences will cause significant ecological and economic costs by disrupting the migration of herbivores. The issue over ‘to fence or not to fence’ has turned into a bit of a cat fight, showing the political nuances and ecological complexities of conserving such a charismatic species. Focusing on lion populations in Mozambique, Kenya, Tanzania, and Zambia, their community conservation efforts empower locals to be stewards of wildlife. By turning lion poachers into guardians, they have reduced lion killing by up to 99% in some of the areas in which they work. Instead of young warriors showing their bravery by killing lions because of their culture, they are now employed to track lions and monitor their activities. In a bold attempt to reunite conservationists, Pride, the Lion Conservation Alliance, has brought together five lion NGOs to pool their efforts and share funding. 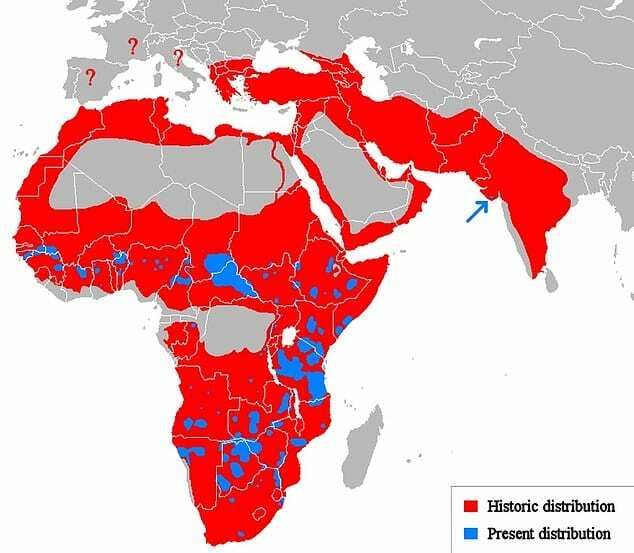 The areas where lions are known to have lived in the past (red) versus where they survive today (blue). Other solutions could involve more corporate partnerships and financially linking lion lovers in the West to Africans living with lions. It’s certainly clear that if we want to have lions in our future, we must start coming up with the cash for their conservations, and stop encouraging those who hunt or poach them as well.